The first World Embroidery Day took place 5 years ago in Sweden. 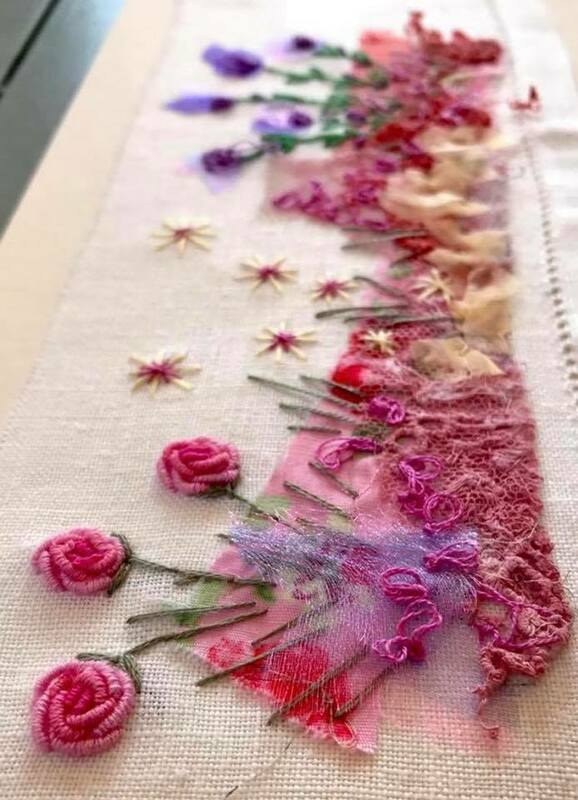 In 2011, a local group belonging to Sweden’s Embroidery Guild took the initiative to organise a special day to celebrate Embroidery and it is now celebrated each year on 30th July. Don’t you just love the thought of Countries all around the world celebrating this amazing artform in all it’s creative variations? 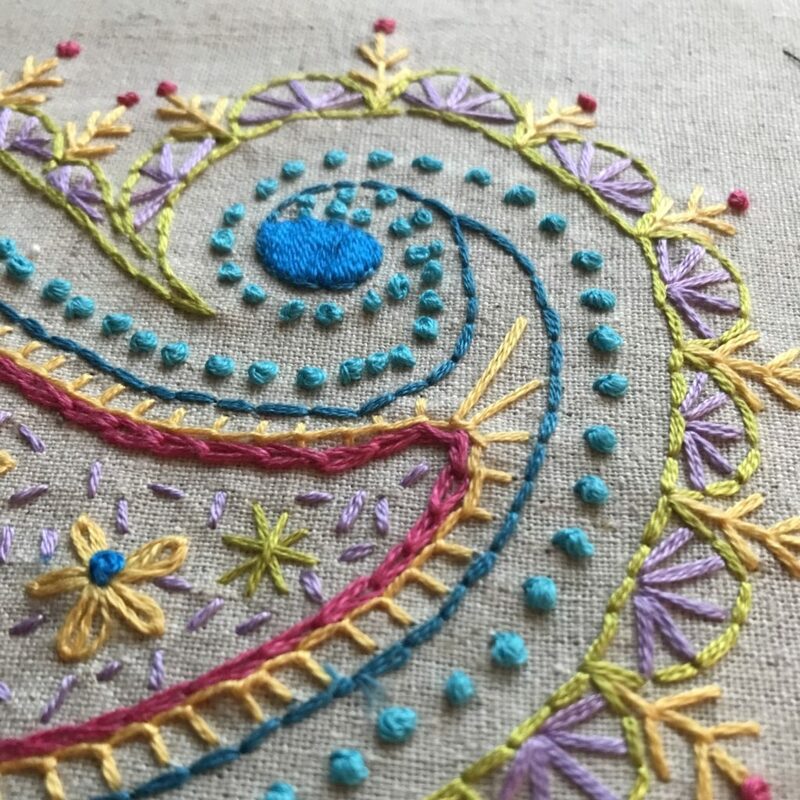 In the manifesto (which is in 5 languages and can be downloaded HERE), it is stated that embroidery is creative, joyful and peaceful. Who, amongst us obsessive stitchers, is going to argue with that? Having run a creative embroidery business for the last three years, I agree and agree and agree. The most wonderful thing about my job is – yes, the inspiring creative work that is produced, but more than that- it’s the coming together of like minded souls: I see ladies from 16-85, age is no barrier; people come from all over the country, sometimes even other countries; they have wide and varied interests, jobs and lifestyles, but none of that matters a hoot, if they all love stitching. Around the table, stories are shared, jokes are told and commiserations’ are freely given. No matter where we come from, who we live with, whatever role we play, we can all identify with each others stories of life. We stitch as we listen and laugh. We listen and laugh as we stitch. The needle continues to move effortlessly in our hands in a rhythmic hypnotic way. People love to talk (some more than others) and on occasions, even the quiet ones are willing to share a story or two. All around the world this happens on a daily basis- every hour, every minute, every second, there will be a group of stitchers somewhere enjoying the moment. No one looks at a watch, no one wants it to end. Comforting, creative and relaxing. Or in the words of the manifesto- creative, joyful and peaceful. 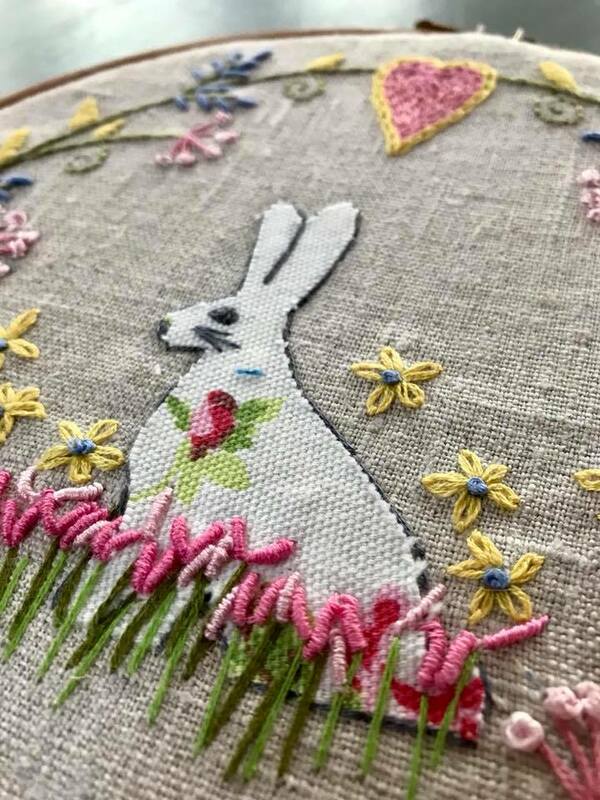 Embroidery comes in all shapes and sizes- it can be defined as being: “The craft of decorating fabric or other materials using a needle to apply thread or yarn. Embroidery may also incorporate other materials such as pearls, beads, quills, and sequins. … Those stitches remain the fundamental techniques of hand embroidery today”. I love the whole process of embroidery design. Drawing patterns, redrawing them, refining them, choosing the colours and tones of the threads, and lastly, playing the “which is the most effective stitch to go where” game. Sometimes I choose to add fabrics, which can often be found lurking behind the stitches- cheeky snippets of organza, lace and netting shyly peeking through. Sewing is good for the soul. It’s official. In this busy world of digital nick nacks, there is a need to escape back to life’s simple pleasures. I do hear of crafty retreats where everyone turns off their phone- heaven. Hard, but heaven. Only then can we totally relax. Our creativity can be so stifled if we constantly stop to check the phone each time it pings. So we must learn to be disciplined and to take time out for ourselves. It’s for our own good- our well being. Creativity feeds our souls. Happy Stitching, Happy sharing and Happy World Embroidery Day!